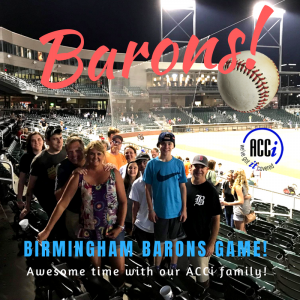 Team outing at Regions Field watching the Birmingham Barons! Thanks ACCi family for an awesome time! We enjoyed a great game, awesome food, and wonderful fellowship.